From 2002 until spring of this year, I wrote a weekly wine column that ran in the Seattle Times. For much of this same period the column also ran in newspapers in Yakima and Walla Walla. It was my goal to focus these newspaper columns on topics specifically of interest to consumers rather than trade. Consumers are a unique audience, with different interests and needs. Writing for the trade, which I have also done, is generally more technical. Given my decades as a resident of Washington state, it was only natural to focus this part of my wine writing on the Pacific Northwest. But when writing for consumers, I made a special point of covering not just the wines of Washington and Oregon, but regularly including wines from around the world. When I traveled to foreign countries, I wrote about those wines; and when I attended wine events or trade tastings, I always looked for the opportunity to taste wines from outside the region. The reasons are simple enough. First, it’s the only way to educate your own palate and avoid tunnel palate. Second, if I wanted to be a truly effective advocate for the world class quality of Pacific Northwest wines, it was essential that I taste them against wines from elsewhere. When you make your purchase decisions in any well-stocked retail environment, you probably are looking at an array of wines from around the world. You might want a Chardonnay, but you have wines from California, Australia, Chile, France and so on to choose from in addition to the local products. So in order to do a thorough job of advocating for consumers, and also to maintain the critical standards that world class wines merit, I never focused exclusively on just Northwest wines. I am no longer writing a newspaper column. My reviews of Northwest wines appear exclusively in Wine Enthusiast. But I think it’s important that I continue to serve readers with my own comparisons and evaluations of wines from outside the region. And so I am re-imagining this blog. While I will continue to offer in-depth coverage of regional wines and wineries, I will also fill the void left by the demise of my Wine Adviser column and offer regular commentary on wines from elsewhere. Monday’s post on the Peter Lehmann wines is one example; and many more will follow. There are plenty of factoids and statistics to study here if you are so inclined, but one thing that it doesn’t measure is how blogging topics shake out. In my 5+ years of blogging, I’ve mostly seen a focus on a relatively small handful of “controversial” subjects, such as the 100-point rating system. Along with industry gossip and news that is of little or no interest to the average consumer, that is what comprises most blog posts other than those that attempt to review wines. Of course, that is where the bung meets the barrel. In order for a wine blog to attract more readers, it absolutely must appeal to consumers, and the way to do that is to offer the sort of general interest topics and useful recommendations that used to be found in newspapers. But anyone with a computer can recommend wines, so the real challenge is establishing credibility. I believe that we old school journalists may have an advantage there. You may agree or disagree with us, but we’ve been in print and on record for a long time. You know where we stand. Fully one third of wine bloggers (according to this survey) have no professional experience whatsoever. Another third are in marketing or work for wineries. They may be knowledgeable, but they have a big client – their employer. My client is you, the consumer. I will continue to do my best to offer you useful, informed, critical commentary and wine recommendations. If I have skin in the game (such as Waitsburg Cellars wines) I will make that very clear. 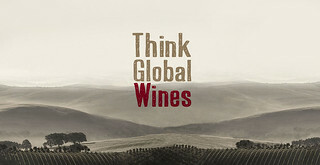 If you are an importer, producer or distributor with wines from outside the Pacific Northwest, I am eager to taste them, and those that stand out in terms of quality and value will be spotlighted right here. In effect, I’m trading a brief, once-a-week newspaper column for a thrice weekly, longer, unfined and unfiltered look at what you might want to plunk down on your dinner table. "My client is you, the consumer. I will continue to do my best to offer you useful, informed, critical commentary and wine recommendations." Well said, thank you. I will look forward to reading your reviews of wines outside of the PNW in addition to your reviews of the local scene. I think it is very important for a wine reviewer to step outside of the regions he ordinarily reviews to get perspective and establish some benchmarks for comparison. BTW, relating to your Lehmann article, how was that 06 Leonetti Cab? Ready to roll or needing more time? Thanks Chris. The Leo could go a bit longer I think. Some '06 s are peaking, but this one has plenty of time left.